Of course disapprovium comes from stars! Like me! The fundraiser is still going on, but the rescue couldn't assist in the hoarder situation because of the finances :-( We'll try to spread the word for them as much as we can. 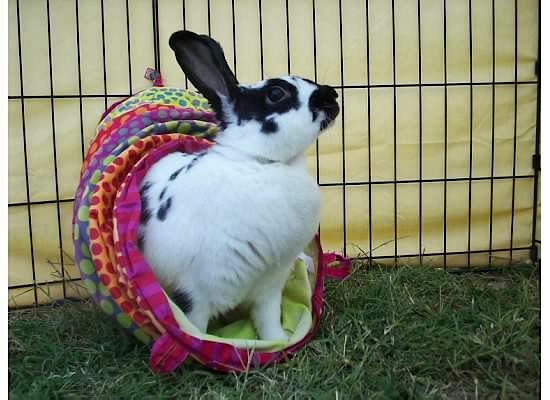 Star seen here emerging from her bunny cocoon giving us her best Marlene Dietrich, and her photographer definitely got her good side! Looks like the secrets of those BIG decorated Easter Eggs revealed!!! !